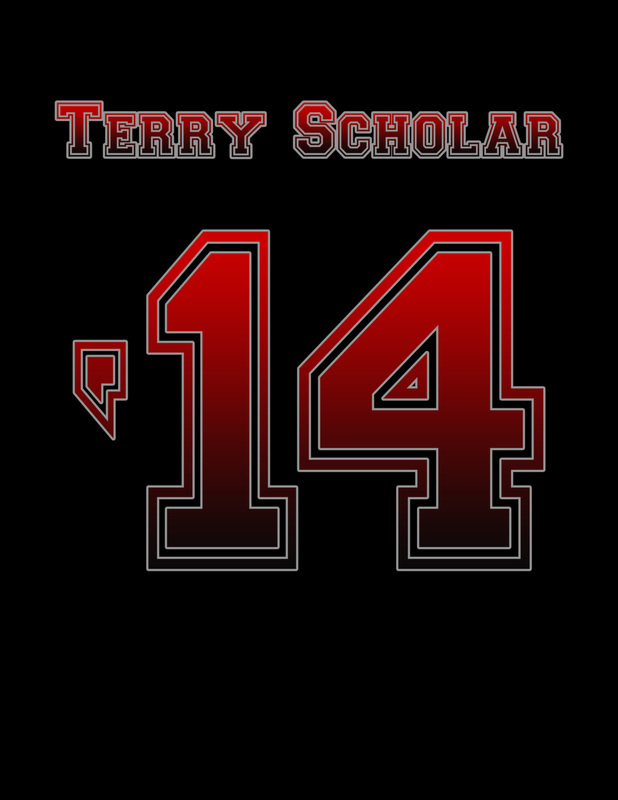 Scholars have come up with and submitted t-shirt designs that will be shown here. 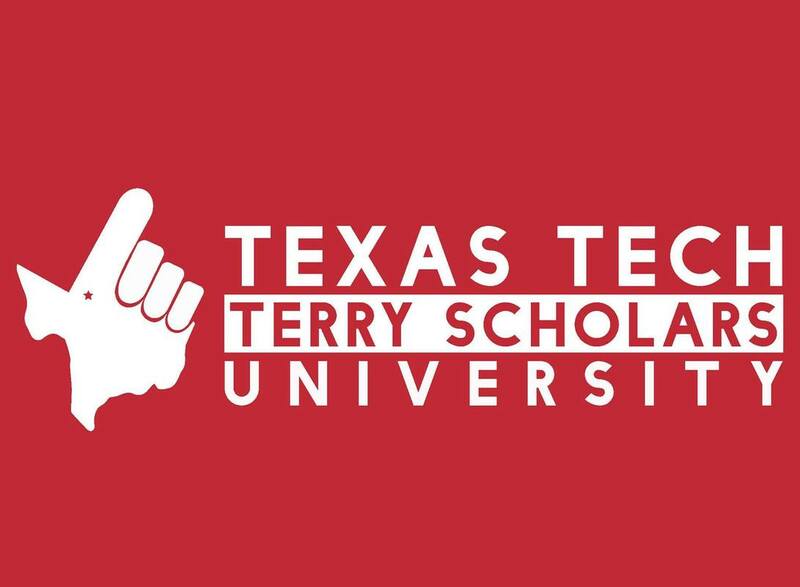 The design contest is open to all current Texas Tech Terry scholars, but all Terry's are eligible to vote. 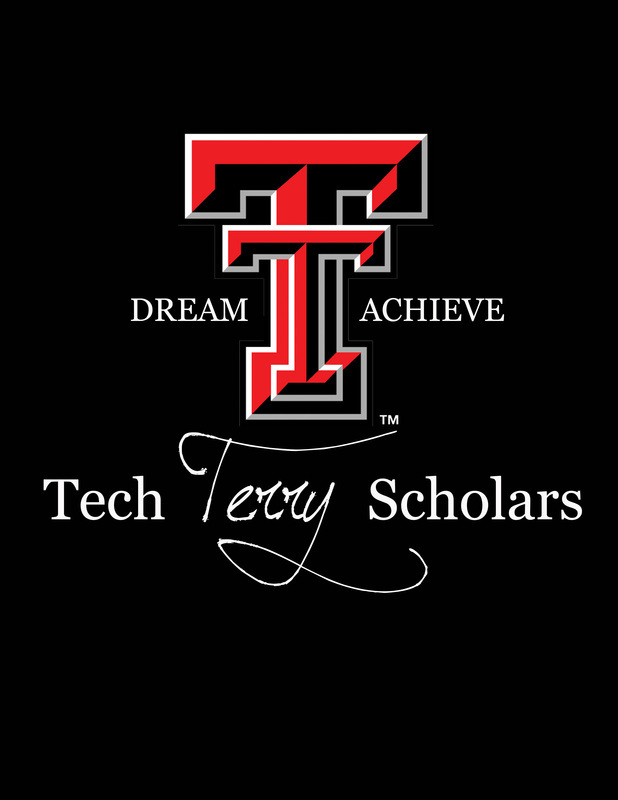 Your design must be inspired by the Texas Tech Terry Scholar Program. 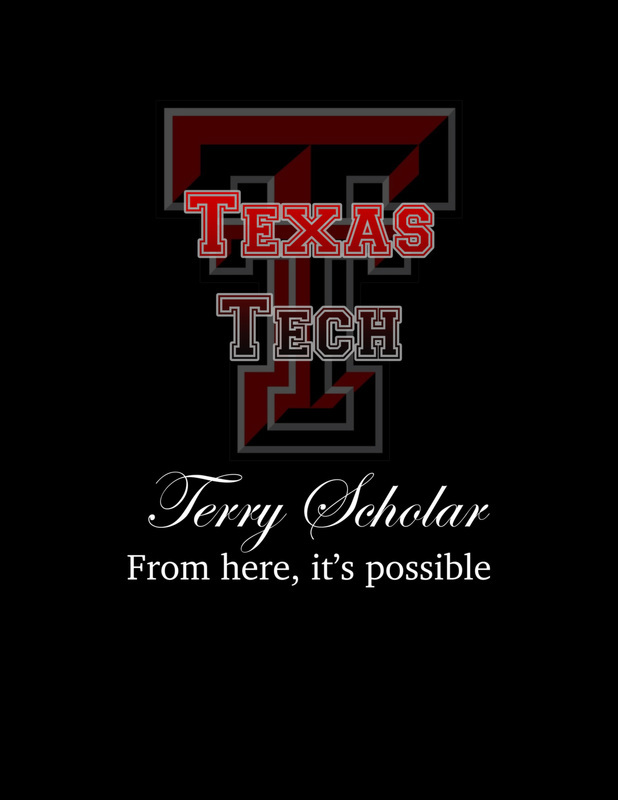 Design most promote the Terry Scholar program and well as the university. T-shirt color can be either black, white or grey. (submit other color ideas to the advisor prior to submission). The shirt must be designed to go on a standard tshirt. 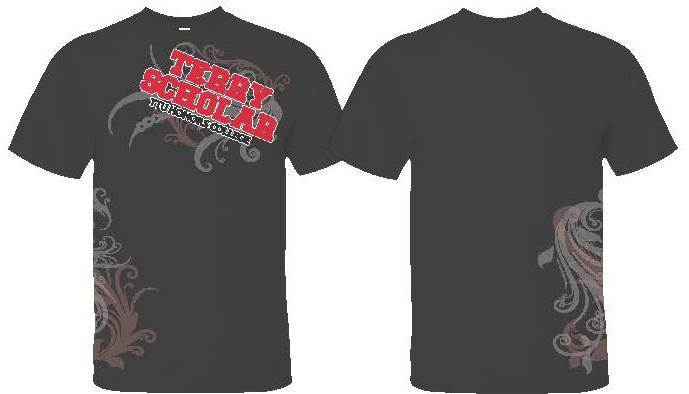 The foundation funds the cost of the shirts and will pay for a t-shirt for each of the current scholars. If the students want polos, jackets, etc. it will come out of their personal funds. Your design can be on the front and/or back of the t-shirt. You may submit up to three designs, but they must be submitted as separate entries. Your design must be completely original. By submitting a design you are guaranteeing that you hold rights to everything on it, and that it does not contain any copyright material. Final design must be approved by the advisor and the foundation. Your design may contain a maximum of four (4) colors (plus the shirt color). Design should not exceed 8 ½” x 11” inches. It is best to create your design in a professional design program. If using Photoshop or other paint programs, then design must be no less than 600 dpi at 8 1/2" x 11" in dimension. If using Illustrator or Corel Draw, no dpi is required. If design is hand-drawn it must be scanned and converted into a PDF file. 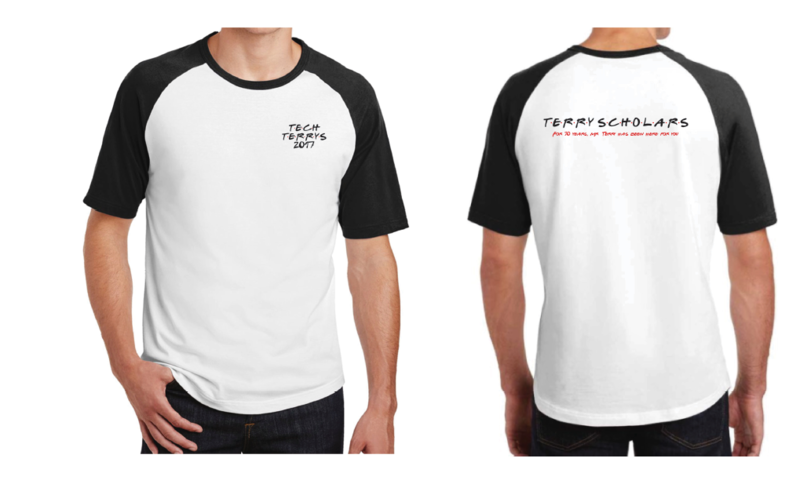 Please specify if your design is intended to be printed on a white or black t-shirt. Your submission should be a PDF file no larger than 5MB. If you win we will ask you for the high resolution files. 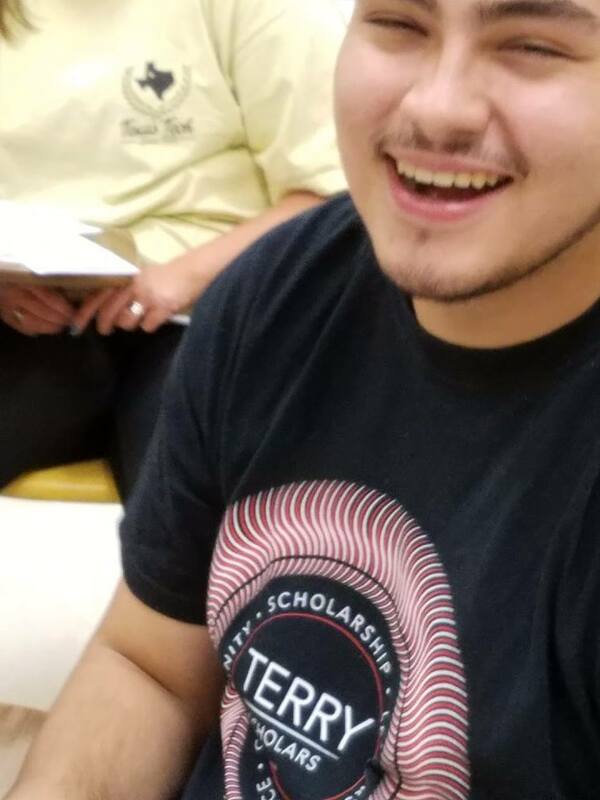 Email your design submissions to the advisor for posting.